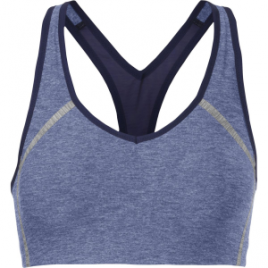 The Icebreaker Rush Sports Bra is ideal for trail running or aerobic exercises for a/b cups and climbing or mountain biking for c/d cups. Made with a little Lycra for a great fit, this bra regulates temperature, breathes to prevent overheating, dries fast, and resists odor. 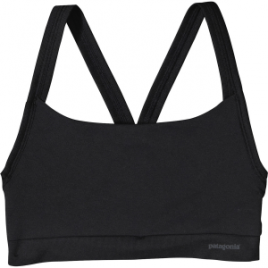 Enjoy the comfort of next-to-skin merino wool fabric with the Icebreaker Women’s Siren Bra. 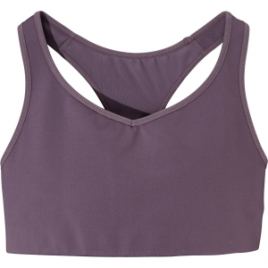 This sweet bra has a touch of Lycra fabric for the ultimate fit, while its full lining ensures you don’t show off more than you want to through your tee or tank top. 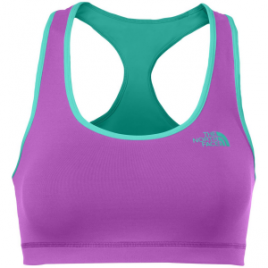 With maximum support, The North Face Women’s Bounce-B-Gone Reversible Sports Bra truly lives up to its name. The Bounce-B-Gone features compressive stretch fabric and VaporWick fabric for incredible moisture management. The North Face added a wide elastic hem for additional support.